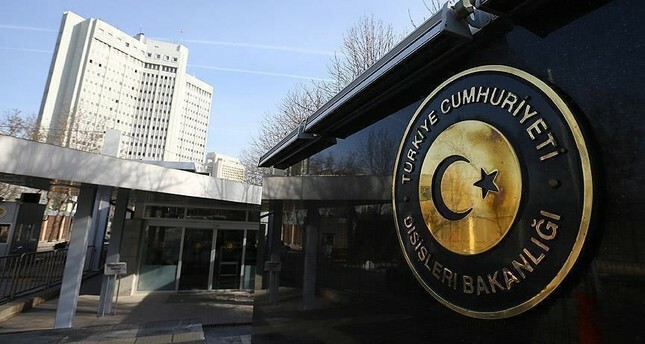 The Turkish foreign ministry said in a statement Tuesday that comments from the United States about the target of the Turkish military operation in Syria were unacceptable and Ankara expected a U.S. pledge that the YPG would remain east of the Euphrates to be fulfilled. Asserting that Turkey's military operation in Syria would continue until the terrorism threats in the region were removed, the ministry said that it had not yet agreed any ceasefire with the YPG in northern Syria. On the matter, the ministry had also summoned U.S. ambassador to Ankara John Bass on Monday. MFA spokesman Tanju Bilgiç said: "We are waiting for the immediate realization of the commitment the U.S. forwarded to us that there will not be any PYD/YPG elements in the west of Euphrates after the Manbij operation." Last week on Wednesday,Turkey launched Operation Euphrates Shield, which is aimed at improving security, supporting coalition forces and eliminating the terror threat along Turkey's border through Free Syrian Army fighters backed by Turkish armor, artillery and jets. Ankara has frequently voiced its concern over the the PYD's armed People's Protection Units' (YPG) activity along the Turkish border and has been rigid in its stance in not allowing the PYD militant group to found any kind of de facto Kurdish state in northern Syria. Ankara claims the PYD enjoys close connections with the PKK, including militant and ammunition support through underground tunnels.